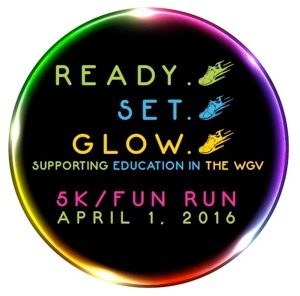 On April 1, 2016, the PTA/PTO's of Mill Creek Elementary School, Wards Creek Elementary School and Pacetti Bay Middle School will be teaming up for the 1st annual READY.SET.GLOW 5K & Fun Run. Partnered with Empower Coaching and Fitness, this 5K race is one that even the most avid runners will enjoy. This race will be chip timed and will include racing packets, T-shirts, and racing bibs. 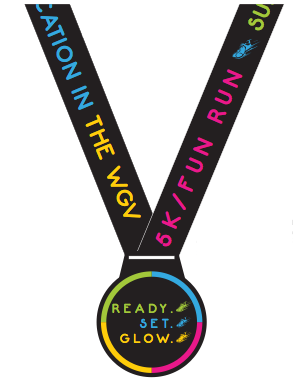 Also included are medals for the first 500 5K finishers and dog tags for the first 200 Fun Run finishers. The purpose of this event is to increase community involvement and support in student learning, to bring awareness to health & fitness & to raise needed funds for technology and educational enhancements in the classrooms. Proceeds from this race will be split equally between the three schools. Please note if you are running in both events, you will need to immediately get ready for the 5K after you complete the Fun Run. Race day registration starts at 6:30 p.m. and closes sharply at 7:30 p.m.
Thursday, March 31, 2016 - Willie Jewels BBQ, 105 Murabella Pkwy, Unit 1, Saint Augustine, FL 32092, 11:00 a.m. - 7:00 p.m.
Race Day - Ringpower main parking lot, 6:30 p.m. -7:30 p.m.
Massage certificates will be given to the top overall male and female and top overall masters male and female.